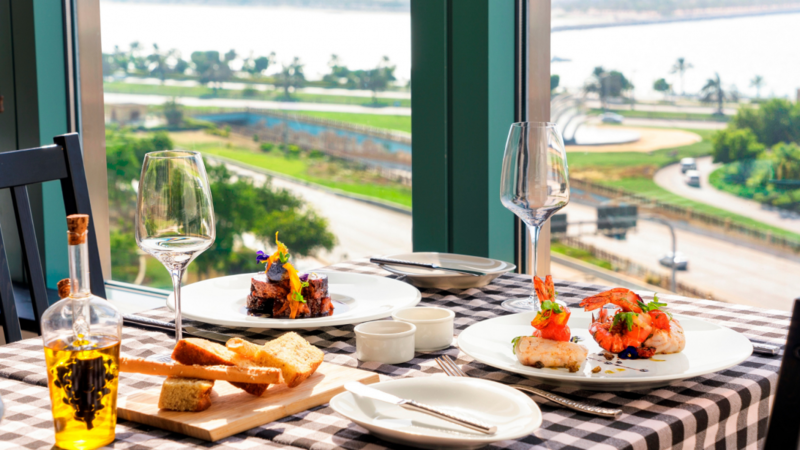 Request a seat overlooking the Corniche and Arabian Gulf when you dine at our Italian restaurant on the P8 level. Photographs of iconic Italian actors keep watch over the cozy seating area as you enjoy your meal. The menu features Italian classics from bruschetta, pasta and pizza to parmigiana dishes and tiramisu. Open for lunch and dinner, Sunday to Friday (closed on Saturdays), Parmigiana is a great place for a casual business meal or friendly get-together.